It's almost too gorgeous to take in. 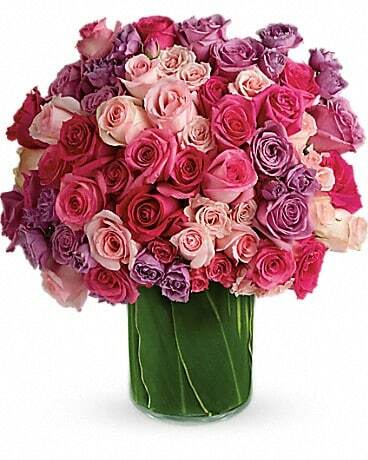 Lush roses and spray roses in intoxicating shades of lavender, pink and light pink - a vision of love that will take her breath away. She'll be gushing about it - and you - for days. Maybe weeks. If you think this photo is a stunner, wait till she sees the real thing. 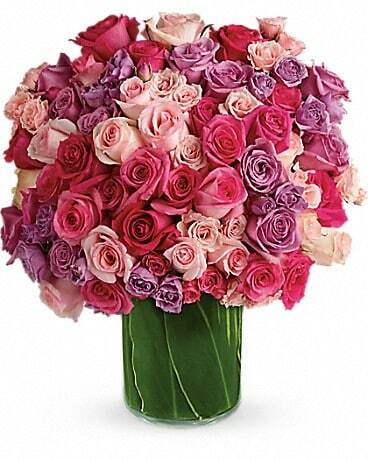 Lush premium roses and spray roses in glorious shades of lavender, pink and light pink beautifully arranged in a trendy vase - hugs and kisses coming up. Lots of them. Give your special someone her own personal rose celebration. 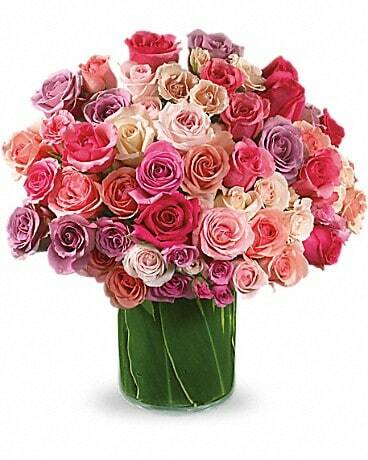 Send her this magnificent array of roses in shades of lavender, pink and light pink artistically arranged in a chic cylinder vase. She won't need a tiara to feel like a queen.